Deray, face of the Black Lives Matter movement, lives in the home owned by a board member of Open Society Foundation. A coalition of more than 50 black organizations rebranded under the “Movement for Black Lives” (M4BL) released its policy platform on August 1st. Titled “Vision 4 Black Lives: Policy Demands for Black Power, Freedom and Justice,” it is said to be the outcome of a conference in Cleveland a year prior. This criticism and even other less cogent criticisms forced the M4BL to create a policy platform. The platform is centered around 6 points: End the war on black people, Reparations, Invest-Divest, Economic Justice, Community Control and Political Power. The points of the platform are then broken up into demands, then each demand is expounded upon: the background of the problems and solutions as they see the contradictions. They then articulate national, state and local actions that can be taken towards policy change. They even list resources, organizations working on the specific policy and even model legislations for some of their demands. Specifically, its “controversial” demands, according to ruling class media sources, to end the war on the black community and reparations have won praises from the black left and disdain from white ruling class. At first glance, this impressive indeed! What it does not speak to is that the policy changes advanced and organizations involved are a who’s who of black nonprofits, which are funded by the wealthy foundations in an attempt to lead our movement through funding. 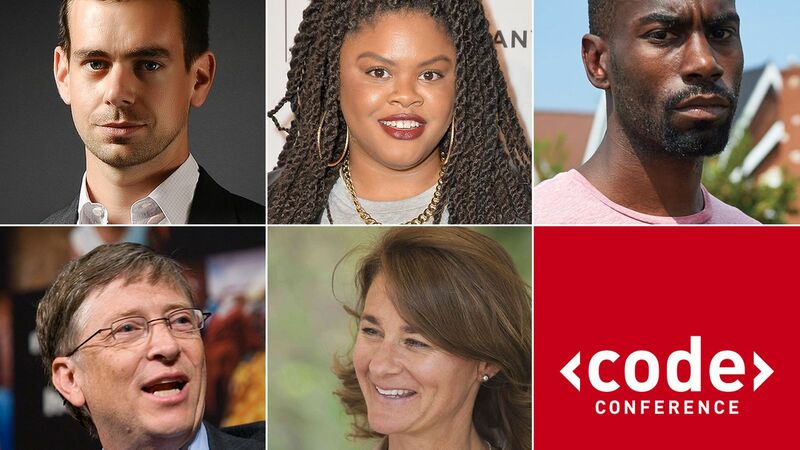 While the proverbial high fives were slapped at the unveiling of the platform, it was also revealed that the Ford Foundation will be funding a whopping $100 million dollars to directly support the Movement for Black Lives. It has created the Black Lives Matter Fund (BLMF). “The BLMF’s strategy is supported by two other components: the first is the Blackprint Strategy, a collaborative process underway to identify movement needs and resource priorities to bring $100 million in new resources to the Movement for Black Lives. If we look further, it just so happens that many of the 50 organizations that are leading for movement for black lives already have received funding from this project. Some of the policy authors listed in the platform proudly claim the title of Soros Justice fellows. George Soros, billionaire philanthropist and parasitic capitalist, through his Open Society Foundation has bragged about his funding of the BLM organizations from the outset of the resistance in Ferguson. 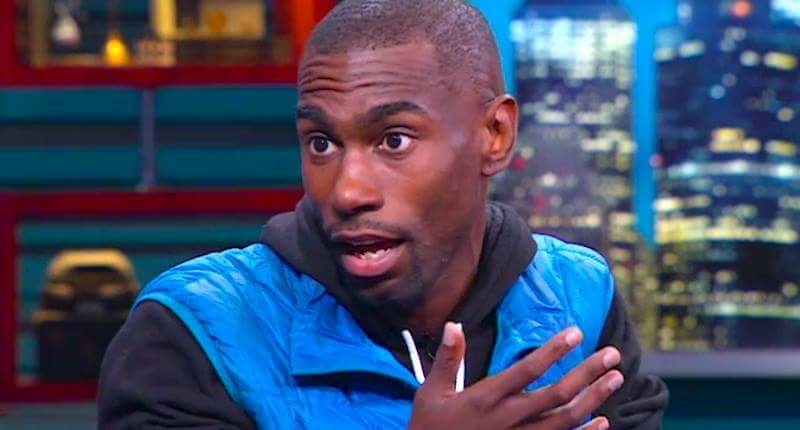 It has just been revealed that Deray McKesson, prominent BLM activist, lives in the home owned by a board member of Open Society Foundation. We do not have to look any further than the Civil Rights Movement in the 60s where the Ford Foundation played an instrumental role in subverting our struggle for liberation and funded nearly every civil rights organization at that time from SCLC, CORE, NAACP and even SNCC. SNCC, the bridge between the Civil Rights Movement and the Black Power Movement, is telling. SNCC was funded by the Ford and Rockefeller foundation when their work was centered around establishing voting rights and desegregation. What these foundations did not expect in funding SNCC was that black activists would be radicalized from the process in organizing the dangerous areas and risking their lives to register to vote. By 1967, the civil rights movement was becoming more militant, and the “black power” slogan, first used by the Student Non-Violent Coordinating Committee, made elites nervous. Foundations and nonprofits are instruments of the ruling class no matter how “progressive” they may seem. Imperialism has always understood that one way to control a movement is to direct its activities through funding. To have a vision for black lives and demand black power freedom and justice it must be coupled with political and economic independence. The revolution will not be funded. The National Black Agenda For Self-Determination Preparatory Conference, Years in the Making! The Black is Back Coalition for Social Justice, Peace and Reparations (BIB) held the National Black Agenda For Self Determination Preparatory Conference on August 13 &14, 2016 in Philadelphia, PA. This conference was to consolidate the Black Agenda for Self-determination and allow the African community an opportunity to shape, mold and discuss this agenda. The agenda is framed with a declaration that explains the political basis of the document in context of the crisis of imperialism and focuses on 19 demands of the black community toward self-determination. Of the 19 demands, many are eerily similar to those of the Movement for Black Lives. Unlike the MBL platform, the BIB has been shaping this agenda since its inception and through proxy for decades through the organizing and struggles of its member organizations. The BIB was started in a small apartment in Washington, DC in 2009. When the white antiwar movement had capitulated to newly-elected U.S. president Barack Obama and the African community was seduced to give their unwavering support to the first black imperialist president, it was a small group of brave activists who understood that our people need leadership and permission to critique the Obama Administration. The BIB not only wanted to lead the black community to be the loudest antiwar forces to critique imperialism regardless of the black president, our coalition also wanted to redefine the definition of war itself. Namely, it called for an end on the war on the black community. In November 2009, the BIB was the first organization to protest the Obama Administration and in March 2010 held the conference “On the Other Wars” to expand this definition past Iraq and Afghanistan but the war in the U.S. and around the world against black people. Since its inception, reparations has been a core demand of the BIB, that there can be no social justice or genuine peace without reparations. In fact, one of the member organizations of the coalition is responsible for making reparations a household name by holding the world’s first tribunal on reparation which it held in the 1980s. Also, coalition member organization, the Amos Wilson Institute, under leadership of the Chair of the Reparations Working Group, Kamm Howard, has advanced the Reparation Enforcers campaign. Unlike many reparations activist who make reparations an academic discussion, their work is centered around holding those corporations and entities that profited from slavery pay reparations for their harm to the black community. Since the police murder of Mike Brown which sparked the resistance of black people around the country, BIB has led the call for black community control of police (BCCOP). The BIB understood the significance of the murder and rebellion it sparked and our coalition Chairman, Omali Yeshitela, went on the ground with the call for BCCOP. 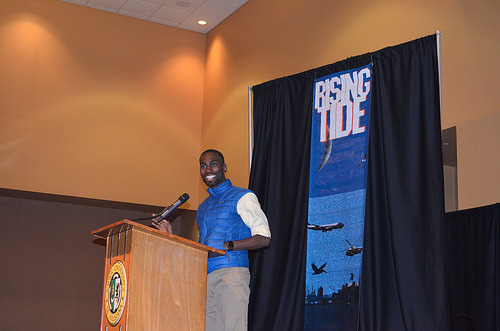 In fact, just days after the killing of Mike Brown, on August 16 &17, the BIB Annual conference “Resist U.S. Wars and Occupations in the U.S. and Abroad” featured Zaki Baruti, of the Universal African People’s Organization based in the St. Louis Area. AIPO, now a member organization of the coalition, was on the front lines of the struggle when the rebellion happened. It was the BIB that held a National Conference in April 2015 on “Black Community Control of Police.” BIB outlined the police as an arm of the state with its origins in slavery and slave catcher and laid out the practical task of building for BCCOP. To this end, the BIB adopted an action kit that is available on our website that includes a know your rights card, petitions for local government to adopt BCCOP and model resolutions to be given to local elected official calling for BCCOP. To date, BIB has garnered thousands of signatures from Africans throughout the country calling for BCCOP. In fact, the M4BL owes its resource document on BCCOP to the work of the coalition and its member organizations. One of the reasons that made the BIB declaration and agenda necessary was the issue of political power in our community. Since the defeat of the black revolution in the 1960s our people have been pushed to believe that our freedom and independence can be gained from one political party or candidate over the other. In 2012, the BIB held a conference, “Obama, the Elections and the Struggle for Justice, Peace, a Better Life and Black Power” and adopted a document that gave coherence to how we find ourselves in the political situation of voting for two parties of imperialism. It also explained to our people that our community should only use electoral politics as a strategy for our ultimate aims of self-determination. The document came at the heels of the 40 anniversary of the Gary National Black Political Convention and the reelection of Barack Obama. This powerful conference pulled the covers from the socialist Bernie Sanders who does not believe in reparations for African people and he, along with Hilary Clinton, supported the Omnibus Crime Bill that lead to the mass incarceration of black people and the thousands of police who occupy our community now. The BIB has worked on its black political agenda for self-determination through its work. With all the work the coalition has done in its 7-year history, most importantly, the BIB has never taken money from foundations or corporate sponsors and never will. This expresses the importance of the task before us not to allow outside entities to dictate the direction of our movement. Like Marcus Garvey and the UNIA before us, we have funded ourselves from membership dues and the generous donation from the black community. The BIB has always paid its own way. This is not to pit the Black is Back Coalition and its work against the Movement for Black Lives; nor is it a bitter criticism because the BIB is not able to kneel at the trough of the Ford Foundation. The black resistance is at a critical time now where it can no longer be ignored given the constant resistance to police murders from the heroic acts of Micah Xavier Johnson to the recent rebellion in Milwaukee, WI. Black people must lead our struggle not the ruling class and its surrogates through funding of our movements. Black lives won’t matter until we get black power! It was created on the internet years before. Black lives matter as a slogan only reinforces the idea that our lives need to matter to white people in order to achieve “equality” when we should be fighting for power. Ironically, 50 years ago it was Stokely Carmichael who popularized the phrase “Black Power.” This has widely been seen as the split that catapulted our movement from the opportunist demands of the Civil Rights Movement to the black power era that that swept the African community with such ferocity. This movement was militarily defeated by the U.S. government with the killing of MLK 2 years later, Fred Hampton and destruction of our organizations through counterinsurgent attacks like the Black Panther Party. Private funding sources were part and parcel counterinsurgent attacks on our movement in the 1960s that lead to the defeat of our movement. We cannot relieve the mistakes of the past. We believe the National Black Agenda for Self-Determination is as critical as the call for “Black Power” a half century ago. This agenda helps separate that those who willing to be lead by Ford, Soros, Gates Foundation and those who want real political independence and self-determination. The BIB Annual Rally and March on the White House and National Black Political Agenda Conference on Self-Determination November 5 & 6, 2016. Leading up to the BIB National Conference on the Black Agenda For Black Self-Determination, we will be holding state conferences in New York, Washington, DC, Pennsylvania, Florida and Alabama to name a few in order to win our community to the our new black political agenda. From these state conferences we want delegations from throughout the country to come in mass to celebrate our historic agenda. We are calling on black people to join us on November 5, where we give Barack Obama a proper send off with a Rally and March to the white house to protest against the legacy of the Obama Administration’s war against the black community and push forward our demands in our 19-Point Declaration. On November 6 at Howard University, we will have our National Conference on the National Black Agenda for Self Determination to celebrate this historic achievement by the African community and to plan on the implementation of these demands. For more information, please visit www.blackisbackcoalition.org.